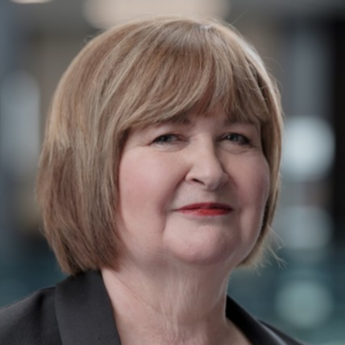 Appointing an interim chief executive to run New Zealand's largest company is an admission of failure that should force Fonterra's board to look hard at its own performance. Fonterra is New Zealand's largest company by a country mile and was ranked No 6 on Rabobank's Global Dairy Top 20 in 2017. The role of chief executive of this multinational dairy co-operative should be highly sought after. Not just by candidates within Fonterra's senior leadership team, some of whom have been deliberately groomed to provide potential CEO successors from within. But by accomplished New Zealand CEOs who are more than ready for a step up. Or from among the coterie of experienced international dairy industry chief executives who have been in the search team's sights for much longer than since March 21. That's the date when former chairman John Wilson announced that exiting CEO Theo Spierings would step down once a successor was in place. The announcement was deliberately timed to coincide with a lacklustre earnings result, which included a bath on Fonterra's 18.8 per cent stake in Chinese infant formula player Beingmate. But the truth is, the Fonterra board has long known that it would be in the market for a new CEO this year. Wilson told a press conference that the announcement was originally timed for April. This surely would have been Spierings' own preference, as the March timing gave the impression that the board held its CEO solely responsible for the interim result. And that it had no strategic culpability for the outcome. But despite the lengthy international search, Fonterra has not been able to confirm a top-notch globally rated chief executive. Fonterra's communications team told me more than a month ago that the announcement of the new CEO was expected "within weeks — not months". A shortlist of candidates had been interviewed in June and the international front-runner confirmed. This was before Wilson himself stepped down as chairman after a major health scare. Fast forward a month. Now farmer shareholders and commercial investors are being asked to accept at face value Fonterra chairman John Monaghan's announcement that the board thought it made sense to call off the global search while it sorted through some directional issues. Senior executive Miles Hurrell would be appointed as an interim CEO meantime. The 44-year-old Hurrell is chief operating officer of Farm Source — the unit responsible for working directly with the co-operative's farmer-owners. Hurrell's appointment has been well received by farmer-shareholders. He is a known quantity to them. I'm told the senior executive team is not threatened by his appointment. He is personable and positive as was obvious through his open demeanour during a series of radio interviews this week. But he will have to use his undoubted people skills to ensure that disappointed candidates from within Fonterra's own ranks do not feel passed over. Given the company's history of management turnover, this will be important. The announcement also followed the surprise claw-back of 5c/kg milksolids in Fonterra's forecast milk price for the 2017-2018 season just ended, and the announcement that there would be no further dividend than the 10c per share paid earlier this year. Fonterra's share price sank to $4.80 after that announcement — a dip of more than 20 per cent from the start of the year. It rose to $4.82 on news of Hurrell's appointment. The board will be conscious it has bought some time to assess its portfolio and direction. But any incoming international CEO worth his/her salt would surely want to be part of that process. So back to the fundamental issue of why Fonterra has not been successful in finding a permanent successor for Spierings. Did the international candidates — including the preferred candidates — decide there was just too much farmer-shareholder and board politics at play? Were they concerned at the lack of discipline displayed at Cabinet level when Shane Jones mounted a public and personal attack on Wilson? Were they concerned that the review of the Dairy Industry Restructuring Act — which compels Fonterra to supply a certain amount of milk to competitors at cost — would not result in an outcome that is fair to the company? My own bet is that all those factors would have been at play when international candidates were doing their own due diligence on Fonterra. Monaghan and Hurrell have a huge challenge ahead of them. If this company is to succeed, it needs to be governed and led by grown-ups within a grown-up NZ commercial environment.